SAN FRANCISCO -- All charges were dropped Wednesday against a mentally ill and unarmed man shot by San Francisco police in January in the city's Oceanview neighborhood, according to the public defender's office. Sean Moore, 43, was initially charged with a number of felonies and misdemeanors in connection with the Jan. 6 encounter with police at his home in the 500 block of Capitol Avenue that started when a neighbor called police around 4 a.m. to make a noise complaint. Moore was accused by police and prosecutors of kicking and hitting officers while telling them to leave his property. The officers used batons and pepper spray before one opened fire. Moore survived the shooting but has undergone multiple surgeries. A ruling last month by San Francisco Superior Court Judge Jeffrey Ross dismissed all but two charges against Moore, saying the officers were acting outside of the scope of their duties when they remained on Moore's property after he declined to be questioned, according to the public defender's office. He was then released from custody without bail last week. 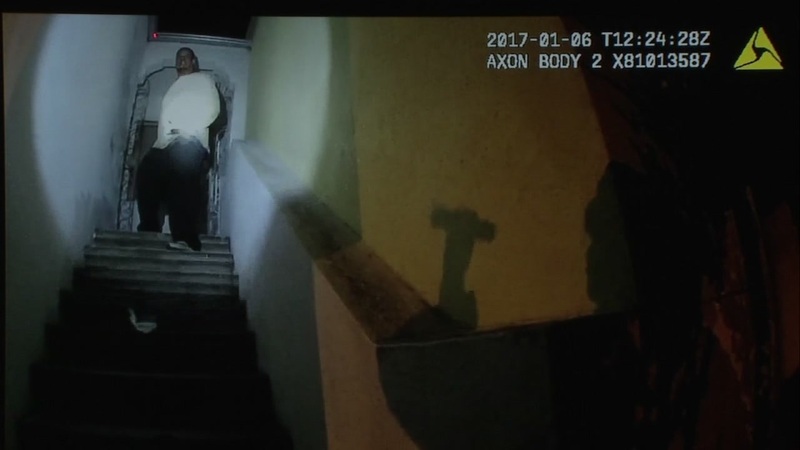 San Francisco police have released footage that shows the dangerous interaction between them and Sean Moore, who was shot in January. Prosecutors asked a state appellate court to review Ross' ruling and to stay Moore's trial, which was set to begin by May 22, but that request was denied on Tuesday. They have also filed an appeal of Ross' ruling and could re-file charges if that appeal is successful. Moore's attorney Deputy Public Defender Brian Pearlman said he did not expect the appeal to succeed. "The district attorney is apparently willing to fight to the bitter end in order to prosecute an unarmed citizen shot by police, despite a judge finding that officers were violating his rights and trespassing on his property when they attacked him," Pearlman said. Public Defender Jeff Adachi in a statement Wednesday also criticized District Attorney George Gascon's handling of the case. "The district attorney has gone to extraordinary lengths to justify an unlawful use of force by police. Unfortunately, the same level of advocacy is not extended to the victims of police violence," Adachi said. "It calls into question whether the district attorney's office is unbiased enough to fairly investigate officer-involved shootings in San Francisco." Click here for more stories about SFPD.